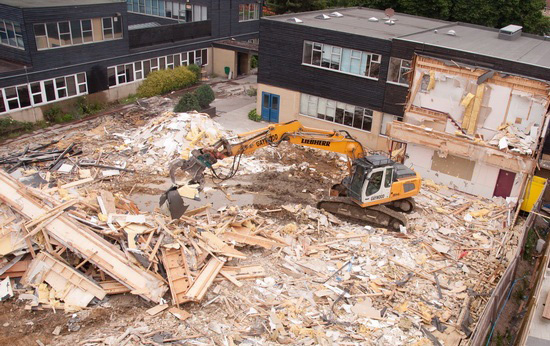 Nexus Building Solutions strive to fulfil customer requirements at every stage of the demolition process, providing complete project management enabled by our employees having the knowledge, experience and skills necessary to uphold the highest levels of competency. Each contract is tailored to meet the needs of the client; a strategic and coherent solution will always be delivered within budget and on time. All our work is done to the highest standards of site safety, all projects are undertake within CDM regulations. Where possible all materials will be recycled to meet ISO 18001 standards.